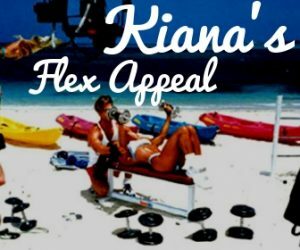 Kiana’s Flex Appeal is the #1 rated fitness show in the history of ESPN, reaching 80 million homes worldwide in 100 countries for over a decade. Kiana Tom, host and founder, created her hit fitness series in 1995 and her television show became the “highest rated fitness show on the network after only 1 week of airing!” Kiana has helped millions of viewers get in Flex Appeal shape! Watch and enjoy Kiana’s Flex Appeal shows online and on select channels around the world. Aloha!